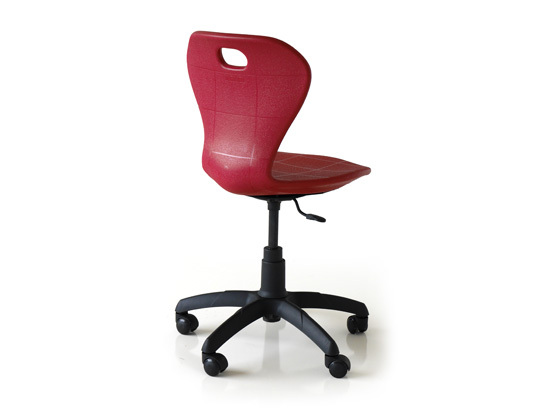 The Forma swivel chair is a movable chair on castors, lending flexibility to the users. The double-walled plastic shell is highly durable as well as comfortable with the special texture and contoured ergonomic surface. It has a stable 5 prong base with 5 castors for stability and mobility. 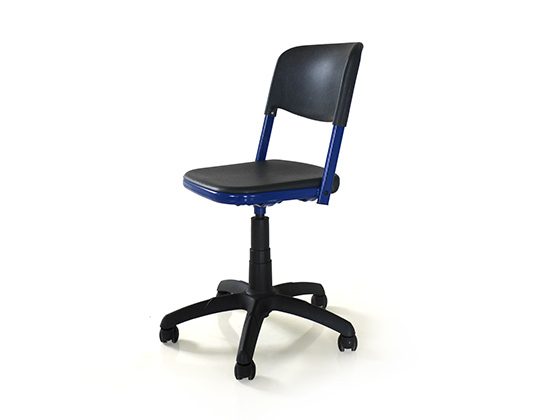 The chair height of the chair can be adjusted easily to suit different users with the in-built gas lift. 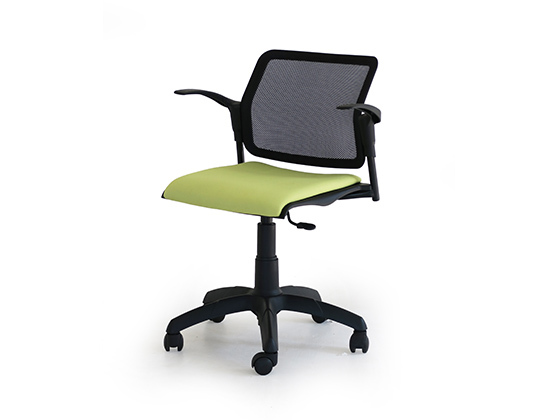 This comfortable and sturdy chair lends flexibility of movement and is versatile across many functions in both schools and offices. It can be used for be used by students, teachers and staff in dynamic classroom and workplace settings, where mobility is essential. 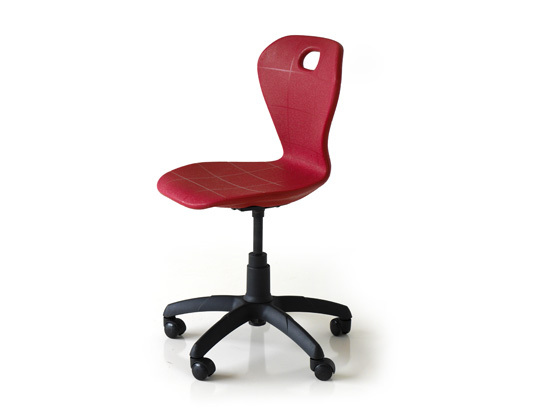 Seat shell specially moulded polypropylene which is double-walled and textured for durability and comfortable sitting with an ‘air cushion’ effect. 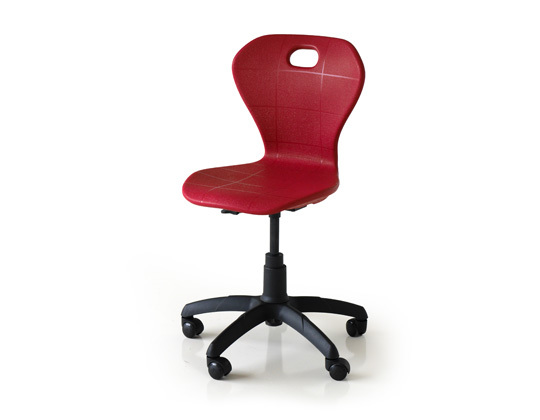 The seat is anatomically shaped to mimic the shape of the body and has a grip hole in the backrest. Frame round steel tube finished with an epoxy coating and fitted with a gas lift for height adjustments.